Starting them young with BDO Junior Savers Club ~ Mommy Meowmeow! So being the excited first-time mom that I am, I immediately proposed to Daddy A that we should open a savings account for Z, instead of us pooling it with the family account. This is something he did not immediately agree with. Daddy says No, Mommy says Go! Another very valid point that Daddy A raised is that because of the current inflation and very meager bank interest rates, money in bank will actually be losing value and the opportunity to earn more had it been invested in another manner. To which I definitely agree. Hence we should also look at other options like stocks or mutual funds or even insurance. I hope I can share with you my experience in a future blog post! Aside from wanting to have similar bonding moments too with my kiddo, we want to teach her about capital preservation (at this point) and in the future, evaluating different investment options and (hopefully) making the right choice. Hence, Daddy A and I arrived at a healthy compromise to open an account for Z, with certain reservations. At this point it was important for us to have discussed as a couple: the minimum and maximum amount we need to deposit, what we should do when it reaches a certain amount, under what circumstances will we allow for a withdrawal, etc. 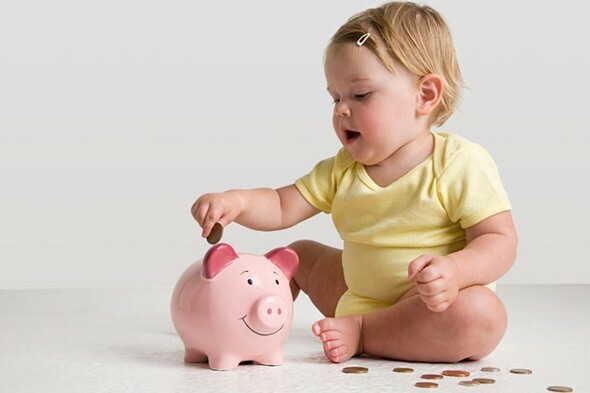 Please do check out the BDO Junior Savers Page to see other features as well as the fees and charges. Oh, they also provide a Junior Savers Club ID which actually bears the same design as their regular ATM card (so much fun in that?!?). This is free but you have to ask them specifically for this and in our particular branch, it took at least 3 weeks before we got the Junior Savers Club Card. This can entitle your child to special treats or promotions from partner companies such as those listed below. You can check with your branch as they change the participating merchants and the promotions from time to time. 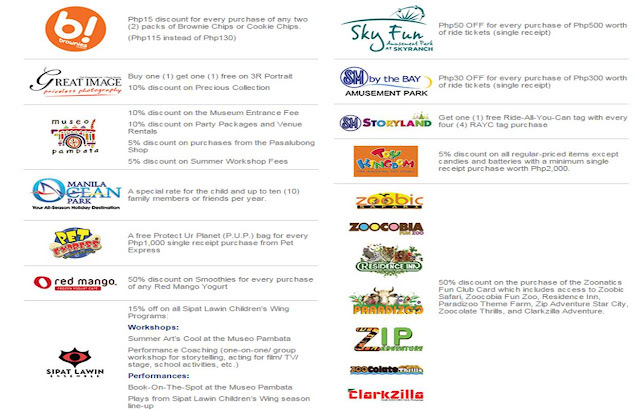 BDO Junior Savers Club Perks! Disclosure: This is not a sponsored post. All opinions are my own and not influenced in any way. I only blog about products and services that I have tried and truly believe in so I know that you, my readers, are in good hands. P.S. We haven't even received a pencil case (as stated in their website). I just really advocate for financial literacy for our children, starting when they are young. I support Bangko Sentral ng Pilipinas' (BSP) Banking On Your Future Program (BOYFP). It is really my wish that the younger generation see money as a tool, not only to purchase goods, but to do good in this world.